1 owner car with Full Service History. Under Kia New Car Warranty until 23/03/2023. The brilliant Kia Venga 3 1.6 Litre Petrol 5dr Automatic - with Alloy Wheels, Air Conditioning, Bluetooth, Cruise Control, Electric Windows x 4, Electric Heated Folding Mirrors, Power Assisted Steering, Remote Central Locking, Satellite Navigation with 7 inch Screen, Steering Wheel Controls, Tinted Glass all round. 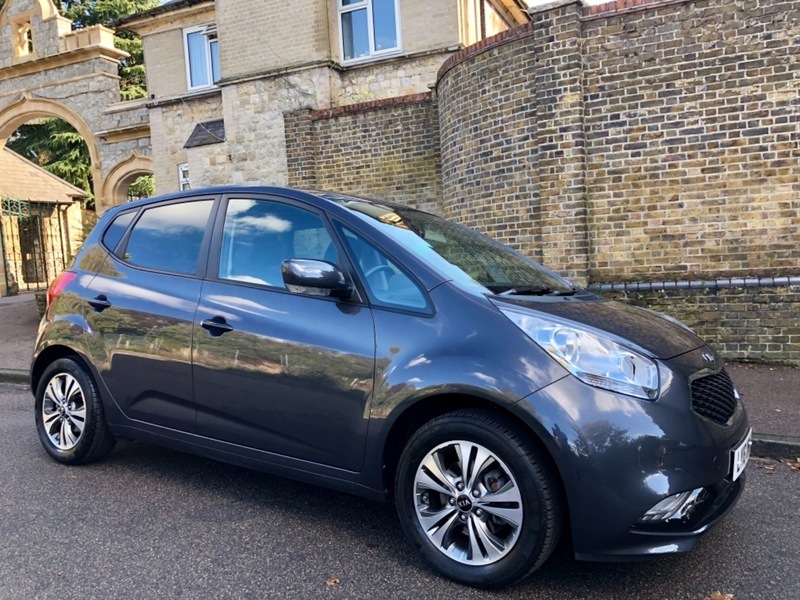 The Kia was recently serviced by WJ King Kia Main Dealer on 21/03/2018 at 4496 miles. What an opportunity to buy a lovely automatic car in excellent -as new condition and incredibly low miles. Automatic 5 Door. Under Kia New Car 7 Year warranty until 23/03/2023. Please Note. This vehicle is the better, higher specification Venga 3 with Satellite Navigation & Electric Folding Mirrors.